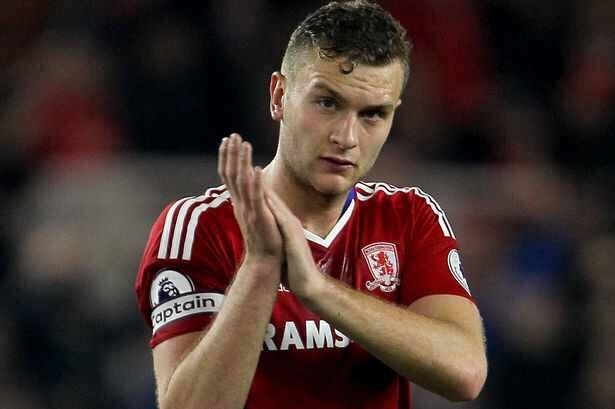 Manchester City have reportedly expressed an interest in signing Middlesbrough defender Ben Gibson, according to the Daily Mail. The 24-year-old has started in all 38 of their Premier League games and helping the Boro claim 11 clean sheets last term. The report suggests, Gibson has been on City’s radar for many months, although the Citizens hierarchy have been considering other and more experienced options at the defense. Gibson has allegedly been a transfer target for a number of top-flight clubs with West Bromwich Albion have been credited with an interest in the defender.